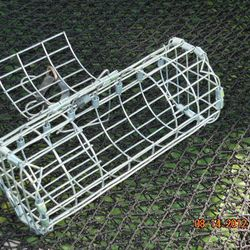 A perfect way to make your bait last longer and in the process, draw crayfish from a larger area by releasing scent and small pieces of your bait into the water. 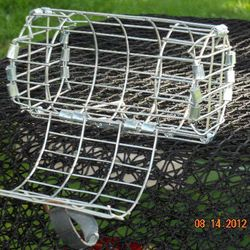 You'll be astounded by the increase of your catch. 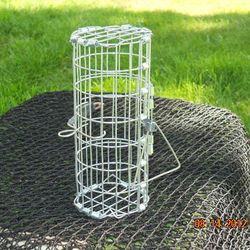 Bait boxes are a must during high peak times, but can also be beneficial during the spring and fall. 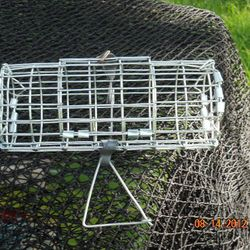 Our bait boxes are large enough to hold a good amount of bait and can be left in the water for those 24 hour soaks. 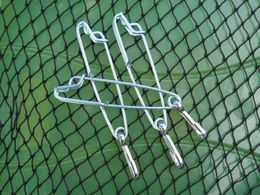 Your bait box also comes with a detachable bait hook that can be used to attach your bait box to your crayfish trap. 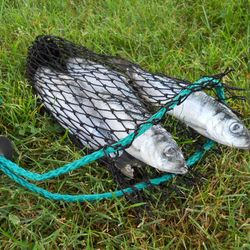 Helpful Hint: Fill your bait boxes with your choice of bait (herring, fish heads, fish gut, etc.) and put them in a freezer bag and place them in your freezer. No need to thaw when you are ready to use, this will simply prolong scent. 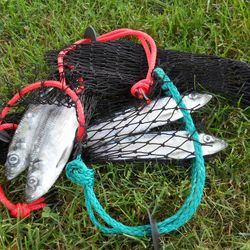 Fresh and salt water use with results much the same as our bait box, but are best suited for larger pieces of bait. 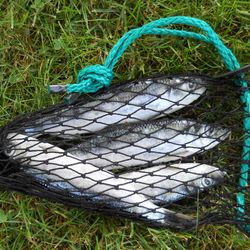 Large fish heads, whole fish (such as herring) or any other large chunks of bait fit perfectly in our bait bags. 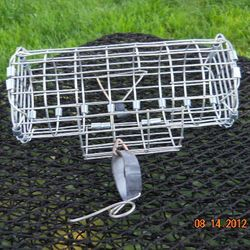 An ideal way to bait your traps for shorter soak times (4 to 6 hours). 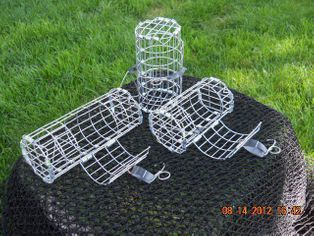 Can also be filled and stored in a freezer bag and placed in your freezer until you are ready to use. 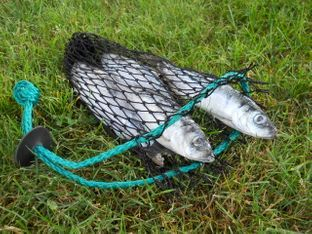 Helpful hint: Always wash your bait bag before storing. Use a mild dish soap in a lukewarm water soak. Rinse thoroughly. 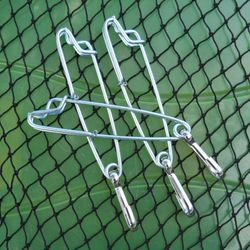 Let bait bag dry before storing. 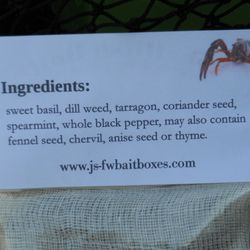 A special blend of quality spices developed over the years by J&S. 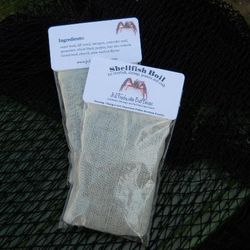 Because it has always been difficult to find a boil that is not Cajun, we developed this blend for our own personal use. 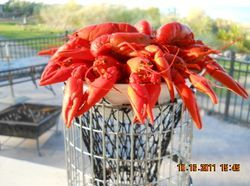 We always use this boil at our own Crayfish & Crab Feeds and it is always a hit! 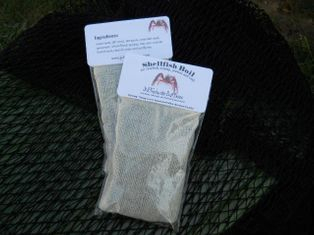 Our special spice pouch can be used with crayfish, prawns, shrimp and crab. You will receive a detailed instruction sheet with your order. Also instructions on freezing prepared shellfish in our boil. 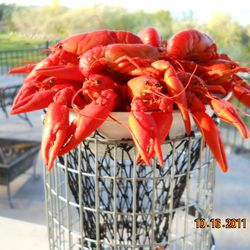 Truly a delicious way to prepare your favorite shellfish! 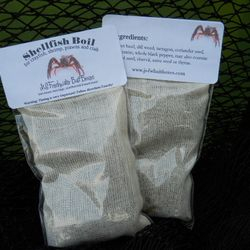 Helpful Hint: Our special spice pouch can be used 3 times (original batch plus 2 more). 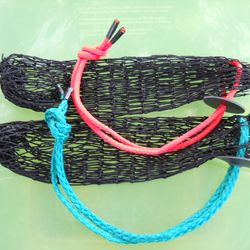 Used for attaching single pots to your poly rope. 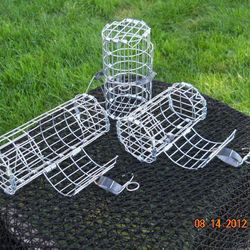 Perfect for ground lines also.